Is it ever okay to cautiously ride through a red light on your two wheels of steel? Are cyclist ticket blitzes a real thing in NYC? Is the new Bike-Share program a boon or a burden for the reputation of cyclists here? 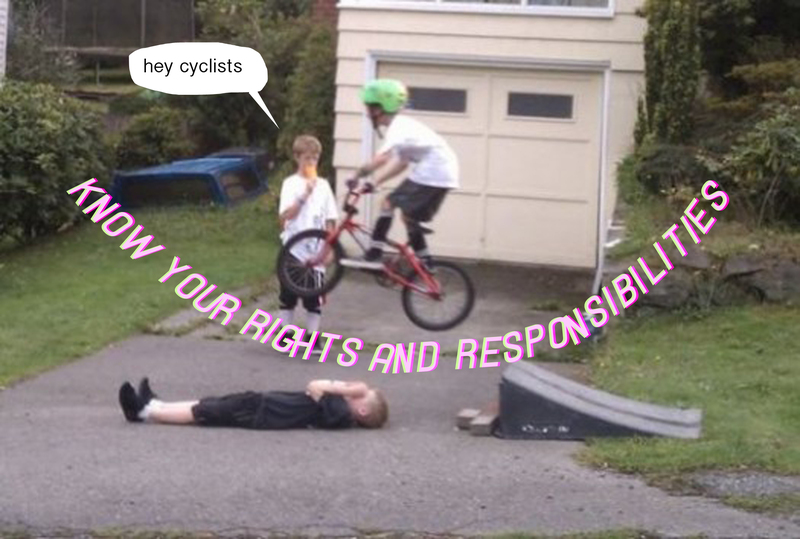 Transportation Alternatives and Flux Factory collaborate on Cyclists: Know Your Rights & Responsibilities, a panel discussion about staying safe while NYC figures out its bike culture. We’ll discuss everything you should know about riding your bike, including what to do in case of a crash, insurance options, the anatomy of a ticket…and we’ll even delve into the inner-workings of a cop’s mind. Flux Factory is a bike-friendly arts non-profit organization in Long Island City, Queens. Transportation Alternatives is New York City’s leading transportation advocacy organization, with a citywide network of tens of thousands of supporters committed to better bicycling, walking and public transit in the five boroughs. Steve Scofield (Moderator) is a longtime and daily cyclist in NYC, a 10-year former bicycle messenger, a Transportation Alternatives volunteer activist and the co-chair of the TA Queens Activist Committee, and a transportation planner at MTA NYC Transit. Peter Beadle (Panelist) is a litigation attorney and long time resident of Rego Park, Queens. He is also a member of Transportation Alternatives Queens Activist Committee, where he advocates for a redesign of Queens Boulevard, and of Friends of the QueensWay, Queens Community Board 6, including its Transportation Committee. He is also Conductor of NYC Biketrain’s Central Queens route to Midtown. Donald Aridas (Panelist) has served as a police officer with the NYPD for the past 8 years, where he is qualified for bike patrol. Previously Donald was a consulting transportation planner for 7 years in the private sector where he specialized in public transportation and bicycle projects. He is pleased to be a Transportation Alternatives member and volunteer, daily recreational and commuting cyclist, and a life-long Queens resident. This workshop is supported, in part, by National Endowment for the Arts, the New York City Department of Cultural Affairs in partnership with the City Council, and the New York State Council on the Arts with the support of Governor Andrew Cuomo and the New York State Legislature. Through painting, collage, drawing and textiles, thetOOth&therOOt muse on the slip towards Armageddon and present a vision of Paradise.